Shiraz Art conservation & consulting was founded in Charlotte, NC in 1984 by Massoud Shiraz, an experienced art conservator. M. Shiraz’s professional career developed from his fascination with the arts, which he discovered throughout art school and his studies at University for art conservation and restoration. After which in the early 1980’s he worked with professional conservators in Rome, Italy and began to establish himself in the conservation and restoration profession. With over thirty years of experience Shiraz is recognized nationally and internationally for his restoration and consultation expertise. 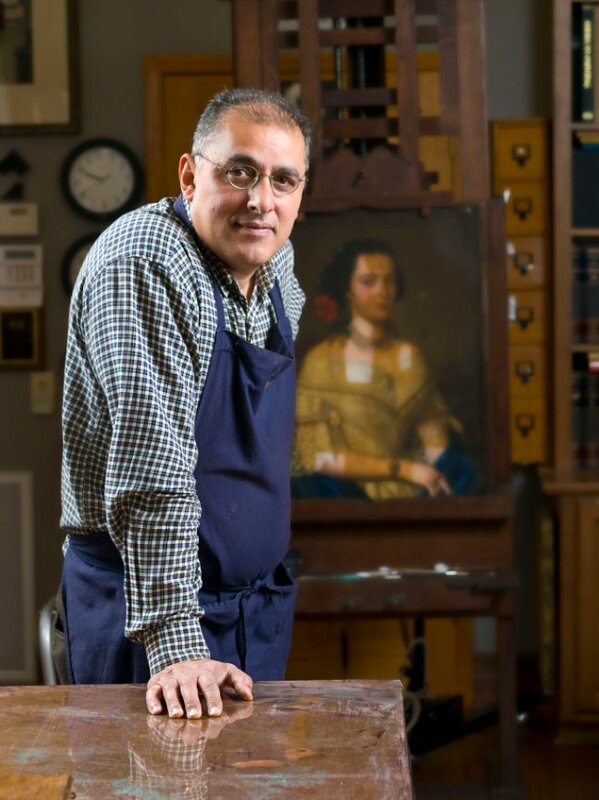 He has maintained a private conservation studio in Charlotte since 1984 as well as in Frankfurt, Germany (headed by fellow conservator and brother, Yousef Shiraz). 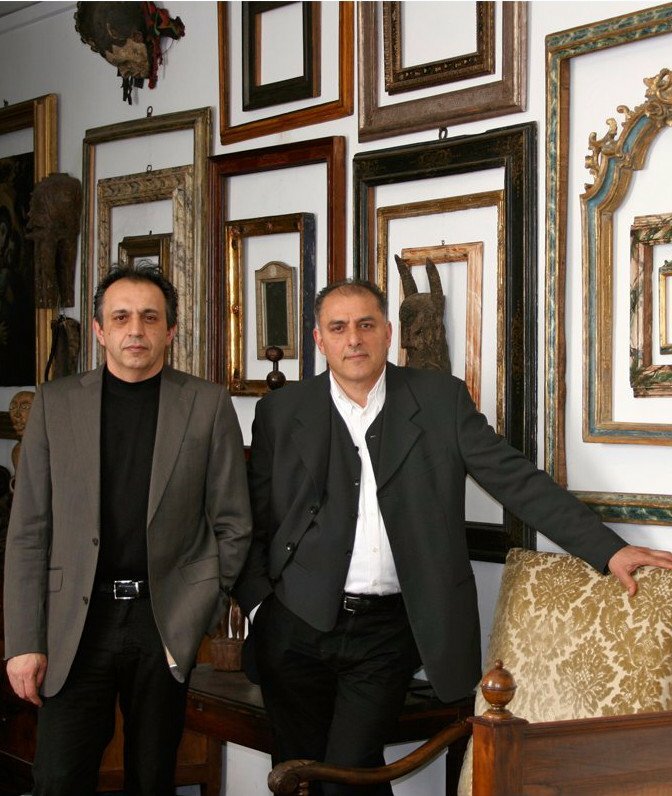 Throughout his professional career he has worked to establish collections of fine art and frames for a variety of clients in both the public and private sector. In addition, he has spent over 30 years restoring paintings in the United States and Europe for private individuals, museums, auction houses, galleries, and corporations. M. Shiraz became a professional member of both the American Institute of Conservation (AIC) in 1997 and the Southeast Regional Conservation Association (SERCA) in 1998. M. Shiraz’s experience and expertise has led him to be featured in many local publications, including The Charlotte Observer and Southern Living Magazine. In 2004, Turner South aired a documentary, “Southern Living Presents,” featuring his work and restoration studio. Then in 2012, PBS aired a documentary, “Charlotte Art,” featuring his work and involvement in the Charlotte Arts sector. Yousef Shiraz studied art and worked with Massoud Shiraz in his Charlotte conservation studio from 1985-1992. In 1992, Yousef moved to Frankfurt, Germany, where he established a conservation studio. In 2001, Peter Waldeis, the ex-chief conservator for the Städel museum of Frankfurt, joined the conservation studio in Frankfurt until his retirement in 2005. Yousef remains the chief conservator of the Frankfurt Conservation Studio and a professional member of the VDR, Verband der Restauratoren Deutschland.